Catchy title. This is just highlighting a dataset that has been made available through the Glasgow Future Cities project: Glasgow CAG. The Glasgow Corporate Address Gazetteer (CAG) contains property co-ordinates, classification, and address among other information. Example of classifications in west end of Glasgow. Slightly difficult to use due to the gazetteer nature but the Scottish Data Transfer Format (SDTF) format is provided with the data. 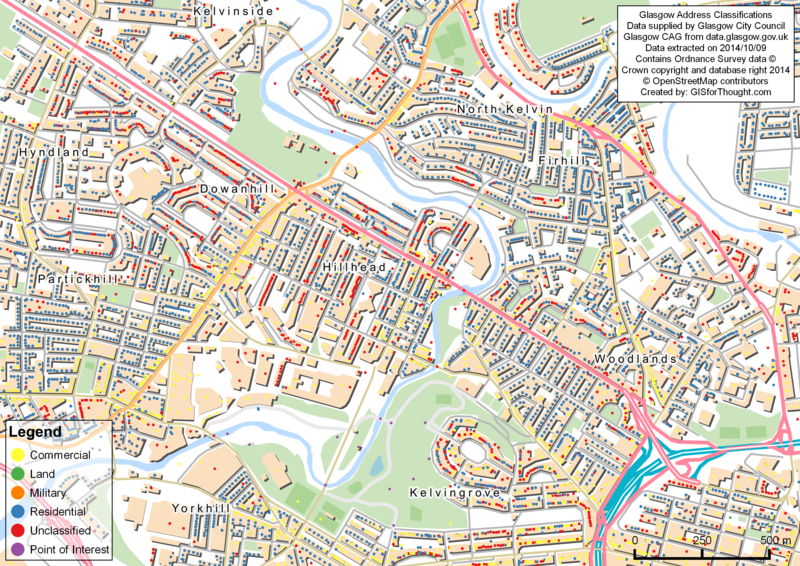 This entry was posted in All, Data, Mapvember, Open Data, Scotland on 11/09/2014 by Heikki Vesanto.